Because of the fact that our skin loses moisture every second, we suffer from an imbalance of moisture within the skin which makes our skin susceptible to aging-related issues. 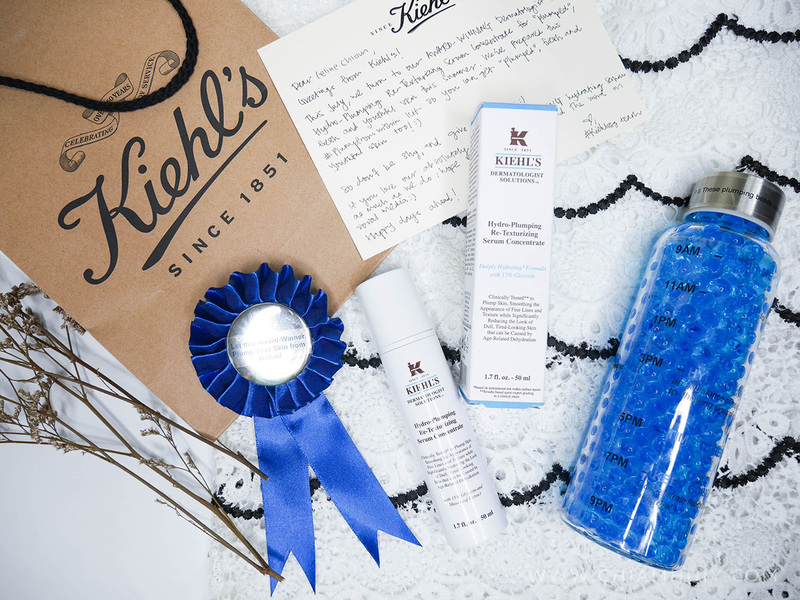 Which is why, Kiehl's Hydro-Plumping Re-Texturizing Serum Concentrate would come in handy as it comes with characteristics to correct Age-Related Dehydration by “flooding” dehydrated skin 10 surface layers deep to restore vital moisture, and surprise with a lightweight texture that “BURSTS” on application. This product has a high concentration of Glycerin (15%), which is known for its moisture attraction properties. 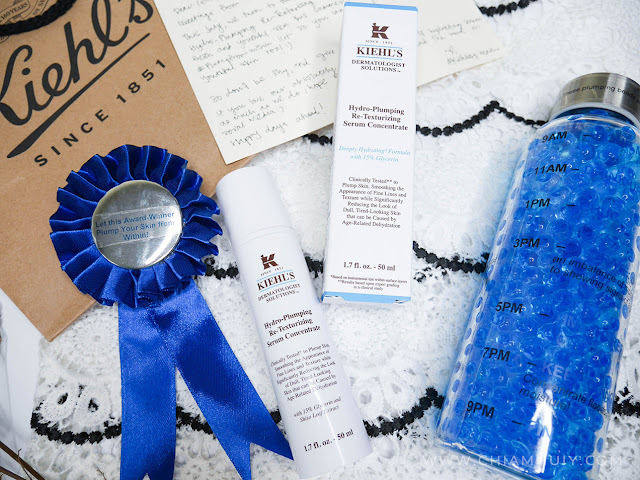 Pardon if I am not the best person to explain this to you, so for more information on this you can refer to Kiehl's website. 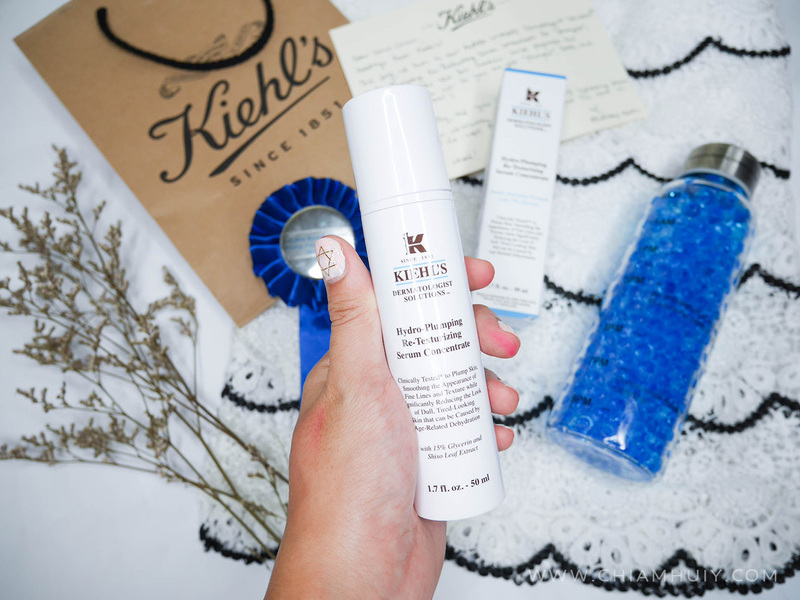 Kiehl's Hydro-Plumping Re-Texturizing Serum Concentrate has received several awards from prestigious brands like 2015 Marie Claire (France) Prix d’Excellence de la Beauté, Cosmo (Singapore) Beauty Grand Prix 2015 for Best Serum: Dry Skin, Female (Singapore) Innovator’s Award, Cleo (Thailand) Beauty Hall of Fame Best Moisturizer for Tired Skin, and many more! As you can tell, the Hydro-Plumping Re-Texturizing Serum Concentrate is dispensed out looking waxy but it's actually water-based. 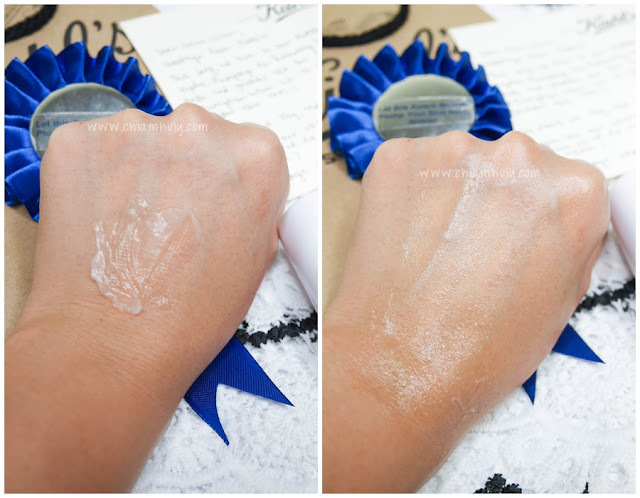 Upon spreading on the skin, it forms water droplets instantly, creating a layer of moisture to protect your skin. I like the fact it's very lightweight and smooth, so I included this into my skincare regime in this manner: Toner > Kiehl's serum concentrate > Moisturiser > Sunscreen (day) or Mask (night). I've always liked water-based products because I choose to believe that they are less likely to clog your pores compared to cream-based moisturisers! 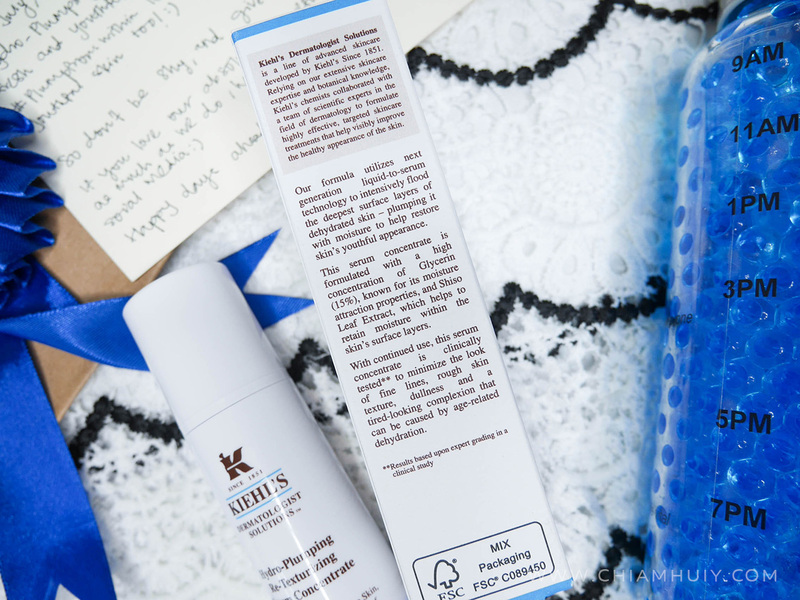 Kiehl's Hydro-Plumping Re-Texturizing Serum Concentrate comes in a tall sleek bottle (50ml). After 1 week, Dermatologist Solutions™ Hydro-Plumping Re-Texturizing Serum Concentrate ($80 for 50ml) is clinically demonstrated to improve skin texture by 30%, appearance of fine lines by 22%, facial skin softness by 31%. After 4 weeks, it improves skin texture (smoothness) by 50%, skin “plumpness” by 31%, appearance of fine lines by 29%, skin bounce back by 20%, skin radiance/luminosity by 26%, and skin softness by 40% - information from Kiehl's.